or Sawadee Pee Mai as we say here. Yes, it really is new year or Songkran as we call it here. It is several days (depending on your stamina) of mayhem, madness and fun. It involves lots of water, and food and drink. Besides the traditional water throwing there are usually lots of other social gatherings as many Thais who live in other places come home to celebrate. 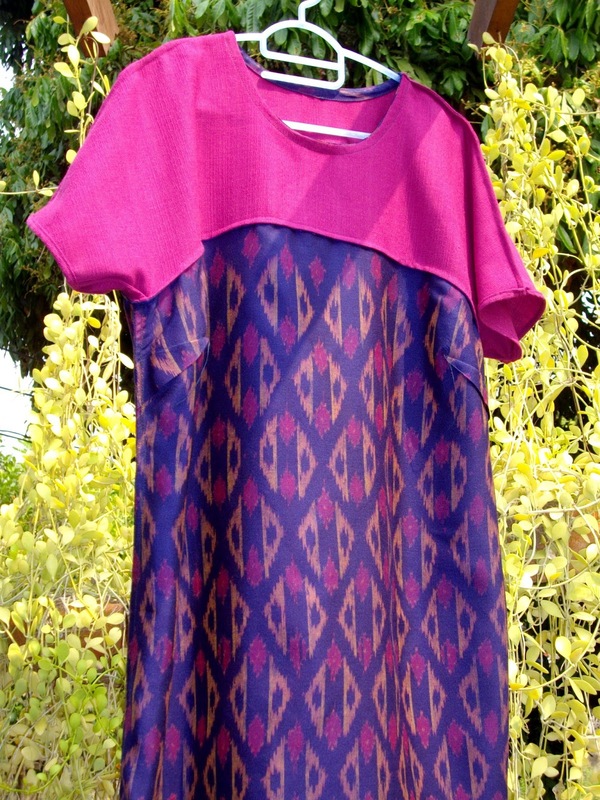 So I decided I wanted something a-little-bit-but-not-too-much Thai to wear. 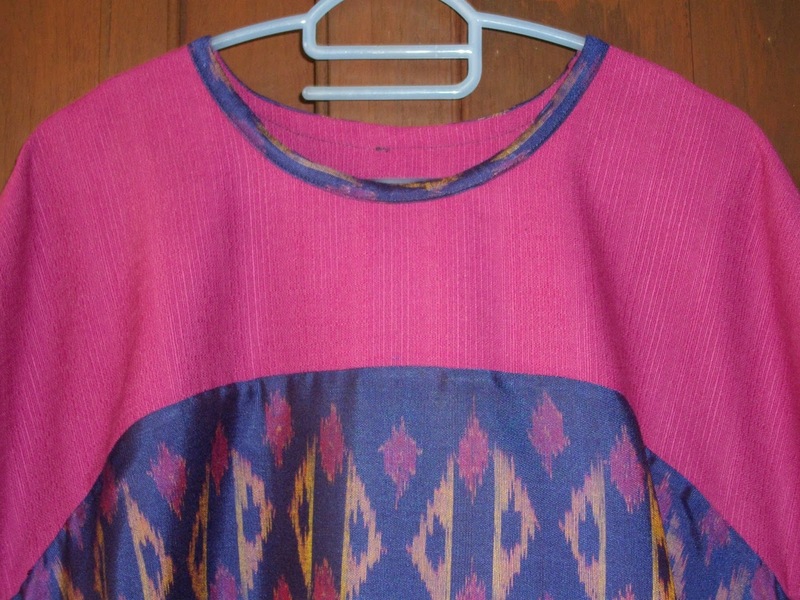 I used V8805 (again) but with only one lower bodice piece. 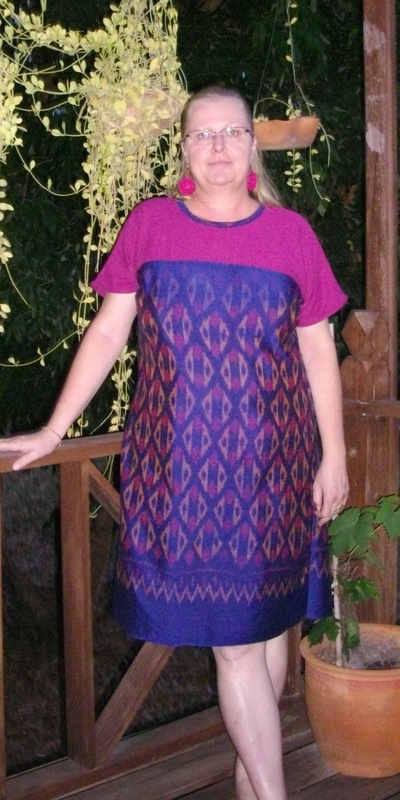 I also used some of my gorgeous mudmee (ikat) fabric, which is handwoven here in Lampang. You can buy some here. Since I had made this pattern before, it came together really quickly and easily. Unfortunately this fabric frays when you look at it so I tried to be really careful and staystitched everything immediately. I also used french seams throughout. And made my own bias binding. Not an easy task in this fabric but well worth the effort, I think. Not much more to say really. I wore it out on Friday night and it was everything I hoped it would be: cool and comfortable. This shows the colours most accurately. So that was a relatively quick and very satisfying make, which I’m sure will get lots of wear. 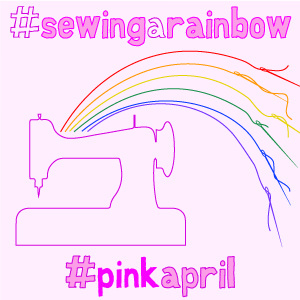 I also just realised that it also fits the Monthly Stitch Sewing Double challenge and the Sewcialists #pinkapril too. Now that’s a winning combination. 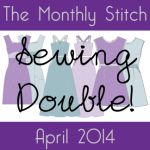 Are you doing any double sewing? or pink sewing? or both? Cute dress. I love how you made your own bias binding for the neckline. Thanks very much. It was my first real attempt at the binding but I was pretty pleased by how it turned out. Thanks so much. I must admit that I'm pretty pleased with it. Love the dress – that fabric is beautiful! Thanks a lot. 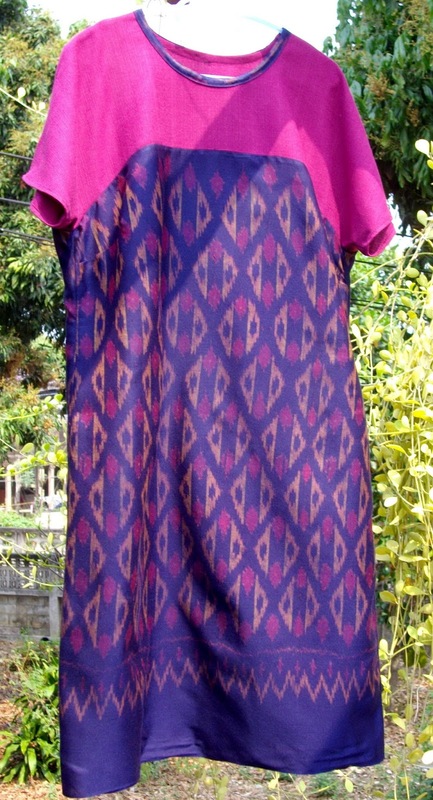 The fabric certainly elevates what is a simple dress.